“The share of Azerbaijani citizens in the total number of foreigners visiting Turkey during this period amounted to 3.03 percent,” said the ministry. However, in January, 46,800 thousand Azerbaijani tourists visited Turkey. The ministry also noted that Turkey is interested in the growth of tourists from Azerbaijan. 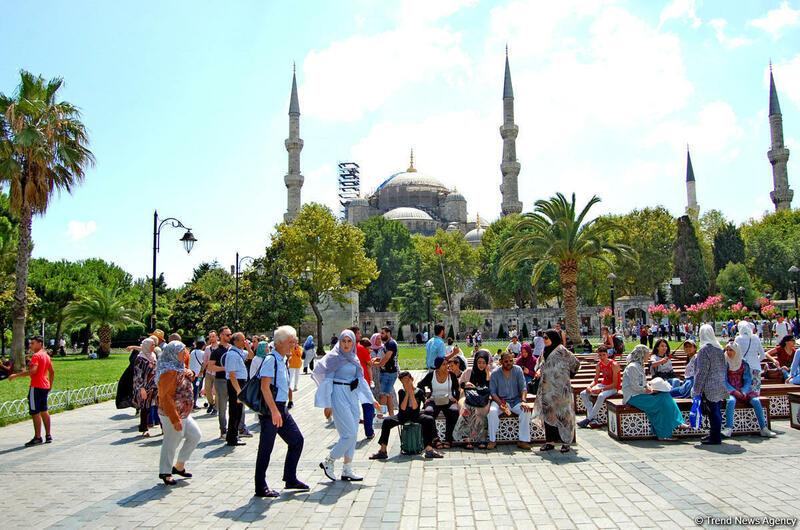 The ministry noted that 1,670 million tourists visited Turkey in February 2019, which is 9.38 percent more compared to the same period of 2018. During this period, over 984 thousand tourists visited Istanbul, while 135 thousand tourists preferred Antalya. In 2018, 14,100 Azerbaijani tourists visited Turkey's Bodrum, which is located in the country's Mugla Province. In turn, share of Turkish tourists was 12 percent among those who visited Azerbaijan in January-February 2019. During the reporting period, 364,200 foreigners and stateless persons from 152 countries came to Azerbaijan, which is 3.3 percent more compared to the same period last year. In 2018, 2,849,600 tourists visited Azerbaijan, showing a 5.7 percent increase compared to 2017. Turkish tourists made up 10.2 percent share.